If you love wine and love unusual, but useful, apps you're going to love the new wine lover's app that we've stumbled across. 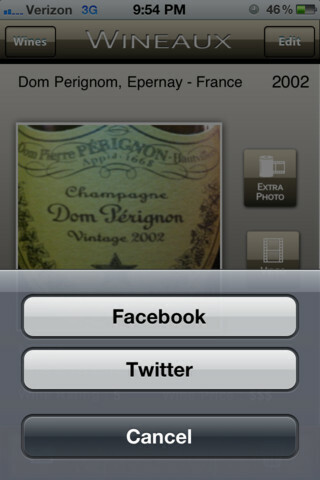 Apps everyday use has now expanded to the world of the sommelier. 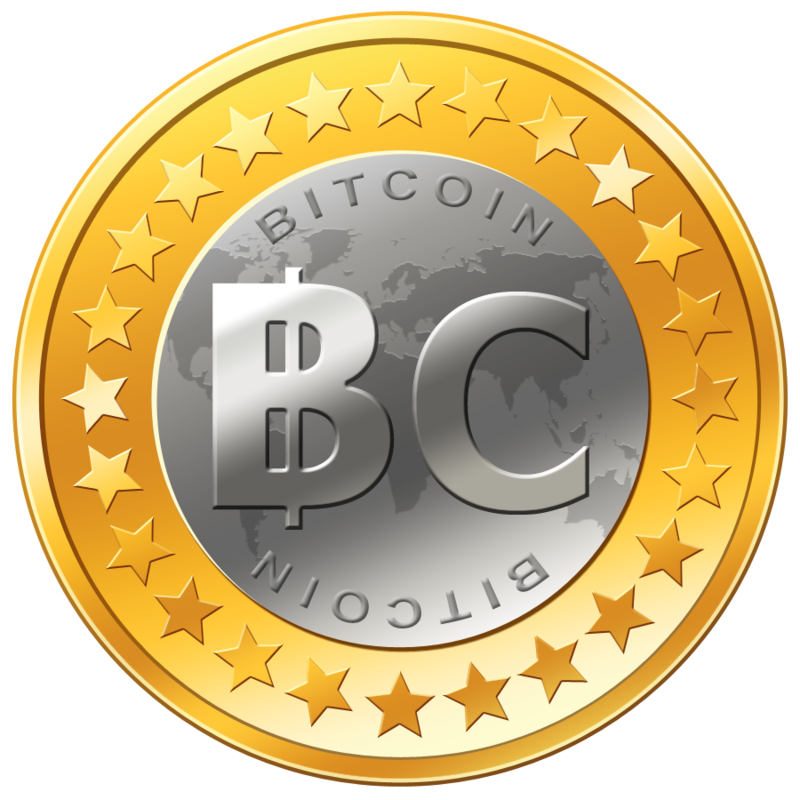 With maturity and age comes the need to experience and enjoy the finer things in life, and as Global trade has increased so has our ability to obtain, and our desire to find new and better wine vintages, increased. Even the most common Supermarket these days is filled with many fine and frivolous wines in all styles and flavours. Chilean reds, Sparkling French whites, Columbard, Cabernet Sauvignon, the list goes on and on. If you're a lover of wines you're certainly not spoiled for choice. However the sheer plethora of drinkable and brilliant wines freely available has led to another problem altogether. Can you actually remember what that superb wine you had to drink last week was? Chances are you can't and simply head off to your local vintner with a vague idea in mind of what your best ever tipple was and come back with something totally different. But there's light at the end of your fine wine loving tunnel in the form of a very classy iPhone/iPad app that Gametrender has come across:Wineaux . Pair this app with cooking courses from OnlineCollegeClasses.org , and you have yourself a recipe for savory success. A quick glance at the premier smartphone app for wine lovers features show that it could be just the app for your wine drinking needs. A number of times I've bought a wine that was neither to my wife's taste nor mine, a while later I then found myself in the local wine merchant seeing the same bottle and thinking to myself, " Is that the wine we loathed or liked?" As you'd expect I remembered incorrectly and ended up with the same bottle of plonk all over again! Well this wine lovers' app solves that as Wineaux allows you to take a picture of your favourite (or worst!) 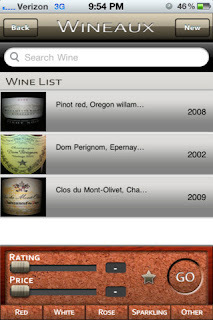 wine, save it to your iDevice , rate the bottle and save the price. 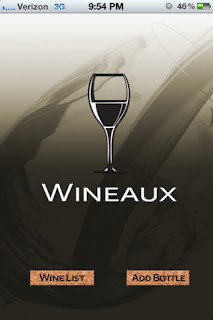 So next time you're out looking for that mysterious deep red, hint of cherries tipple , you no longer need to rely on a memory made hazy by alcohol but can simply turn to Wineaux to get the wine you want. Of course being a very clever little app indeed Wineaux doesn't just let you keep a record of your favourite drinks but adds a bit of fun to your drinking too. The app allows you to share your best wine with a rating to Facebook and also look at other Wineaux users favourite drinks too. Comparing and contrasting your loved wines with this app really adds a dimension of social interaction and fun to your evening's drinking. Gametrender would even go so far as saying that using this app (aside from the obvious plus of keeping track of your best wines) makes all everyday wine drinking into a kind of virtual wine tasting event! 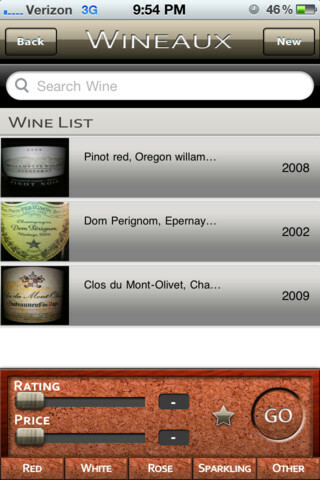 Download WINEAUX from the Appstore and add a whole new dimension to your personal wine tasting.